Danny Ozark (Orzechowski) was born and raised in Cheektowaga, NY. 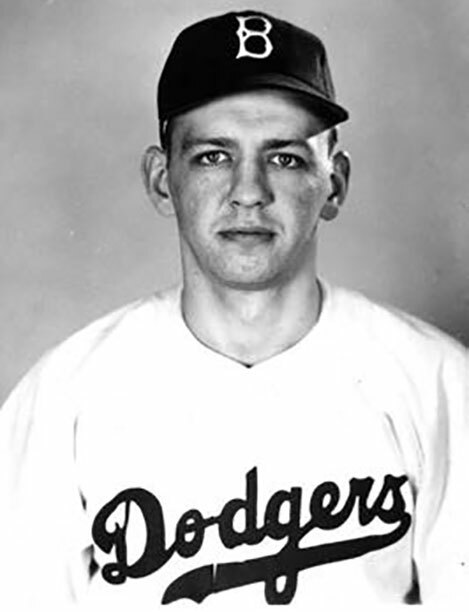 After an outstanding athletic career in high school, he signed a professional baseball contract in 1942 with the Brooklyn Dodgers Class D team in Olean. He was drafted into the Army and served for three years in Europe where he participated in the D-Day Invasion, the Battle of the Bulge and received a Purple Heart for his bravery. Upon returning from military service, he played in the Dodgers’ minor league system for 15 years. He became a player-manager in 1956 and retired as a player in 1961. Ozark never received a call from the big league club, even though he batted .300 in both AA and AAA and was among the league leaders in home runs every season. In 1976, Ozark was selected as Major League Manager of the Year by The Sporting News, and also earned the Associated Press National League Manager of the Year award. Ozark’s career managerial record with the Phillies was a solid 594-510 (a win percentage of .538). After leaving the Phillies in 1979, he became assistant coach under Tommy LaSorda and helped the Dodgers win the 1981 World Series over the Yankees. He joined Frank Robinson’s staff in San Francisco as a coach in 1983, and when Robinson was fired during the following season, Ozark served briefly as interim manager before wrapping up his career as a Giants scout. Counting his Giants tenure, Ozark compiled a lifetime record of 618 wins and 542 losses (.533). Ozark was selected to the National Polish-American Sports Hall of Fame in 2010. He died at the age of 85 in Vero Beach, FL.